Reading Jap Meet is on every third Tuesday of the month, starting around 7PM and generally thinning out around 9 ish. Held in the public car park of Reading Gate Retail Park, Acre Road, Reading BERKSHIRE it is a friendly and relaxed gathering. 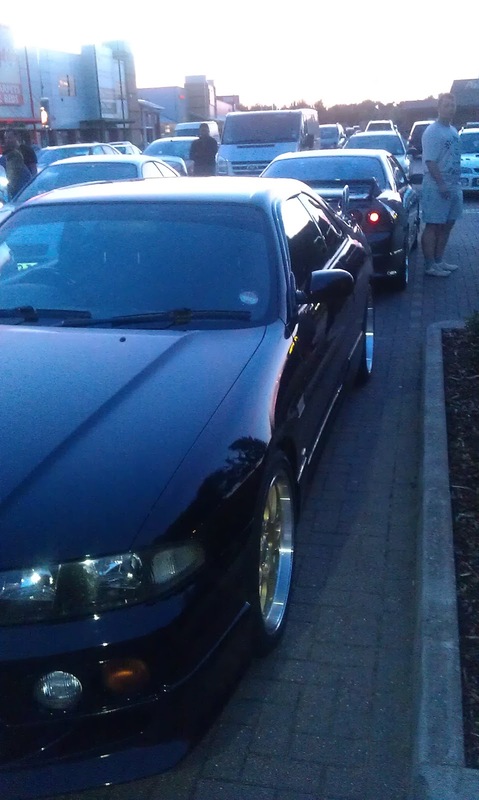 Even if you are not a Jap car nut or even remotely interested in cars, you can't beat the thrill of hearing the cars as they arrive, engines revving, exhausts purring, as the sleek, classic or downright stupid cars enter the car park. I recall earlier this year a man with his wife saying to her "what on earth is happening here! What are all these cars, what is happening!" which on the face of it is, pretty funny. 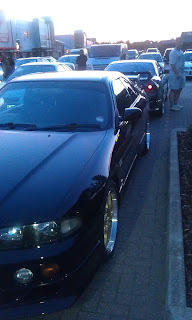 The gathering was made more special with the arrival of a few R33's, of course mine and a good friend from the Owners Club were probably the most noteworthy! Naturally as with all things a few people who said they would come didn't make it.. Come on! One day in the month isn't a killer, is it?